PowerELab is a spin off company from The University of Hong Kong. It originated from the Power Electronics Lab in the University which has developed many switching power supply design technologies and patents. 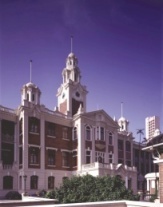 While Hong Kong University holds the intellectual property rights PowerELab Ltd. has been granted the right to use and sublicense these technologies to its clients. The University of Hong Kong is a share holder of PowerELab Ltd.
PowerELab serves the electronics industry as a power converter technology provider. Its strong technology team is eager to provide solutions to switching power converter products. We develop power supply products for customers. We provide solutions to increase efficiencies of your power supply products. We explore new opportunities using our technologies. All PowerELab engineers are not only capable in the technologies but also rich in industrial experience. We understand what is needed to make a product that can be efficiently manufactured. We work closely with manufacturers in South China and work together to produce competitive products. We also provide services to meet regulatory requirements. Product Range : switching power supplies, battery chargers, AC adapters, AC/DC converters, DC/DC power converters, high frequency lamp ballasts, integrate circuit (IC), DC/AC inverters, power converters for LEDs, automotive power converters, etc. Clients : electronic product manufacturers, switching power supply manufactures, IC developers, engineering consultants and contractors, lighting equipment manufacturers, universities, etc.